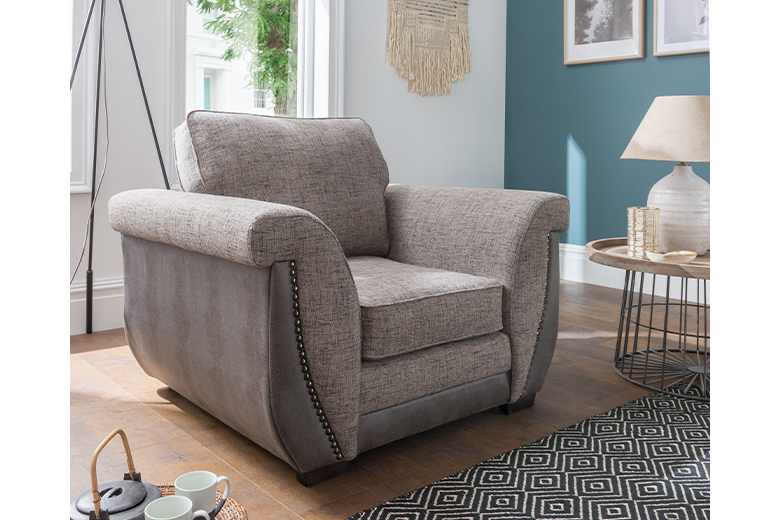 Fantastic new corner sofa & chair collection with fabrics that are perfectly on-trend. The beautiful base fabric is a great combination of biscuit & charcoal colours, totally practical and perfect to co-ordinate with any decor. The strong geometric scatter cushions can be reversed to change the look of the sofa, and the whole effect is finished off with subtle stud detail on each arm - stunning! Fabrics that are perfectly on-trend. Totally practical and perfect to co-ordinate with any decor. Geometric scatter cushions can be reversed to change the look of the sofa.